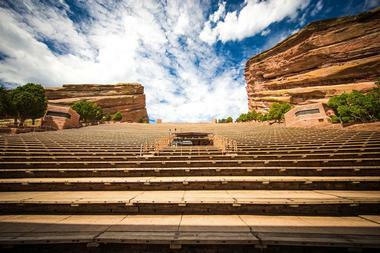 Whether you like art museums, sports, historic attractions, a lively music scene, unique hotels, family attractions, breakfast, romantic restaurants, free activities, or green parks, you will find it all in Denver. The city has a beautiful downtown area perfect for a romantic stroll, shopping, and sampling great burgers, Italian and other eats. 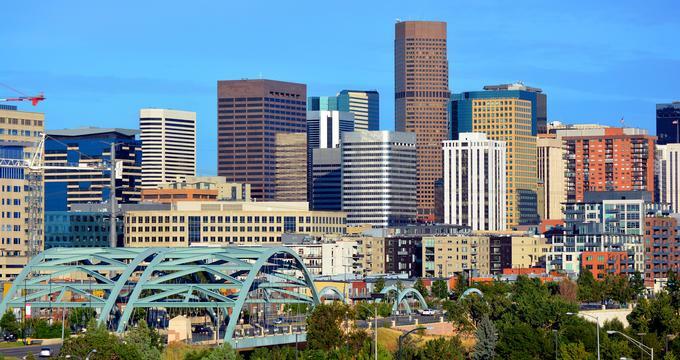 Here are the best things to do in Denver, Colorado. The Denver Mountain Parks system is a unique complex of more than 14,000 acres in the nearby foothills of the Rocky Mountains, owned and maintained by the city of Denver. Established in 1914 by the U.S. Congress to protect and preserve scenic land around the city for future generations, these parks spread out for up to 60 miles from the city and include famous attractions like Buffalo Bill’s grave on the top of Lookout Mountain, Red Rocks Amphitheater, Winter Park Ski Resort and Summit Lake. The park system offers visitors a fantastic array of things to see and do, outdoor adventures and fun activities, from camping, climbing, hiking and mountain biking, to seeing huge herds of buffalo and elk in Genesee Park. Opened in 1922, the Denver Art Museum (DAM) is one of the largest art museums in the West and is renowned for its magnificent collection of American Indian Art, as well as permanent and evolving collections of over 68,000 unique works from around the globe. Located in the Civic Center in Denver in an award-winning building designed by Frederic C. Hamilton, the museum’s collections are spread over nine curatorial sections, ranging from architecture, design and graphics to Asian, New World, European and Modern art. The museum holds a number of programs and workshops throughout the year, including ‘Meet the Artist’ where visitors get to meet the artists of various exhibitions, as well many interactive events for the whole family. 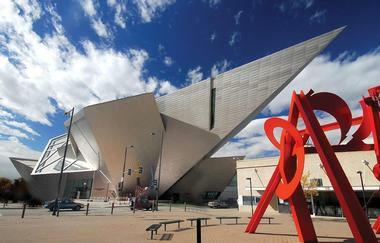 The Denver Art Museum is one of the top Denver, Colorado attractions. 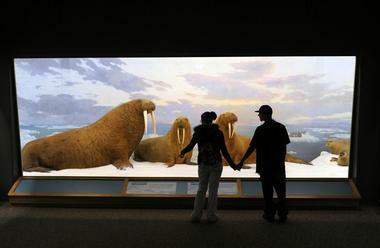 General admission to the museum is free for children every day. 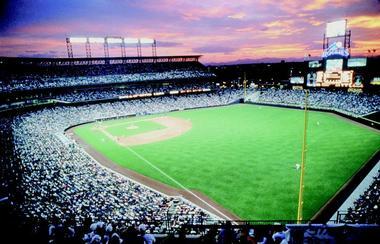 Home of the Colorado Rockies baseball team, the 76-acre Coors Field is situated in Denver's Ballpark neighborhood with magnificent views of the Rocky Mountains and is famous for hosting the highest home runs in history. Combining the nostalgic feel of a 1920s urban ballpark with 21st-century technology, Coors Field is renowned for its old fashioned brick façade and famous signature clock, where fans meet before a game. Tours of Coors Field can be taken to explore the history of this famed stadium and the role it has played in the game of baseball. Group and private tours can be arranged and take a unique behind-the-scenes look at one of the main ballparks in Major League Baseball. Lasting for about an hour and covering a mile in distance, tours include visiting the dugouts, the field, the Coors Fields' microbrewery; the Rockies merchandise store, and the Mountain Ranch Club. 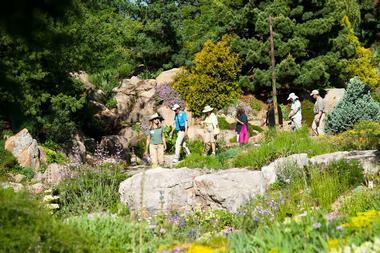 Nestled in the Cheesman Park neighborhood, the Denver Botanic Gardens boasts a variety of themed gardens, a glass-enclosed conservatory and a sunken amphitheater that hosts open-air concerts during the summer. The gardens are made up of three locations, namely the formal garden on York Street in East Denver, the natural meadows and riparian areas of the Chatfield gardens, and the alpine wildflower gardens of Mt. Goliath. The York Street gardens feature seven themed gardens that include plants endemic to Colorado and the neighboring states, as well as the largest collection of plants from cold temperate climates around the world. In 1986, the gardens introduced the world's first Xeriscape Demonstration Garden (later named the Dryland Mesa), which is home to drought-tolerant plants from the arid West and Mediterranean regions. The gardens also feature a Japanese Garden called Shofu-en and the fun Mordecai Children’s Garden, which offers a wonderful oasis for families and children to play. Located in the City Park, Denver Zoo is home to over 4,000 animals from 600 species which live in a variety of natural habitats across 80 acres of zoo land. Founded in 1896, the zoo was started with an orphaned black bear cub called Billy Ryan and has since grown into one of Denver’s most popular attractions. Boasting species from all over the world, ranging from primates, pachyderms and carnivores to reptiles, birds and fish, the zoo is designed in a circlular loop, which covers a variety of habitats and animal enclosures, including Bear Mountain, Primate Panorama, Predator Ridge, Giraffe House, Toyota Elephant Passage, and Bird World. If you are wondering what to do in Denver with kids on a beautiful sunny day, the zoo is a great choice. 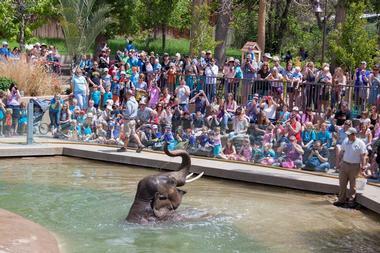 Other facilities at the zoo include the Endangered Species Carousel, showcasing some of the many endangered species, the Pioneer Train, which offers an exciting trip around the zoo’s carousel meadow and flamingo lake, and the Wild Encounters outdoor amphitheater, which is designed for wildlife presentations and educational programs. The Kirkland Museum of Fine & Decorative Art houses one of the largest collections of international decorative art in the United States, as well as the works of over 80 internationally renowned architects, including Frank Lloyd Wright. Works at the museum cover a range of genres, from Art Nouveau, Arts & Crafts and Aesthetic, to Bauhaus, Art Deco, Pop Art and Post-Modern Art, and feature 700 works by more than 230 Colorado and regional artists. The museum also contains the original studio and school of artist Vance Kirkland (1904 – 1981) and features the Decorative Art Collection showcasing an additional 3,500 pieces. The museum is well known for its unusual and quirky exhibition styles, where works are arranged in a ‘salon style’, akin to a home, where artworks are accompanied by pieces of furniture and décor, as well as sculptures, handicrafts, and artifacts. Due to the fragile nature of the collection, children under age 13 are not admitted. The Colorado Symphony is the city’s professional symphony orchestra, performing at the Boettcher Concert Hall, located in the Denver Performing Arts Center. 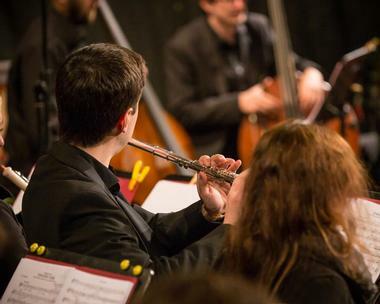 Led by music director Andrew Litton, the orchestra presents a variety of concert series, symphonies, solo performances, and events throughout the year, as well as educational and community-based outreach programs. Performances are held at the magnificent Boettcher Concert Hall. Built in 1978, the hall is the country’s first 360-degree concert hall and boasts more than 2,700 seats arranged in five seating areas, which allow for no audience member to be more than 85 feet from the stage. If you are looking for best romantic things to do in Denver at night, watch a performance by the Colorado Symphony. 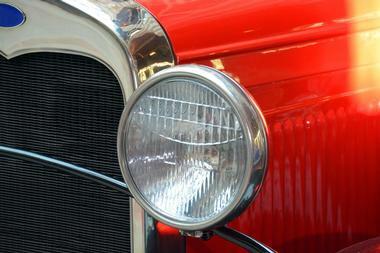 Cars, bikes, trains, and planes – the Forney Museum of Transportation is home to them all. Boasting an unrivaled collection of over 600 artifacts relating to transportation throughout history, the unique museum offers an unforgettable journey for the whole family. The museum’s slogan “Anything on wheels” rings true with a broad range of vehicles and modes of transport through the ages, including an ‘amphicar’, A Stutz fire engine, a ‘Big Boy’ locomotive and Amelia Earhart’s 1923 Kissel called ‘Gold Bug’. 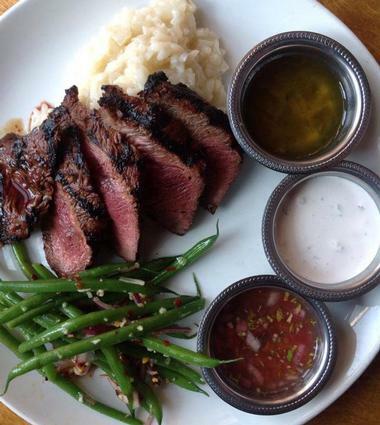 ChoLon is an award-winning Asian restaurant in Denver’s Lodo District. 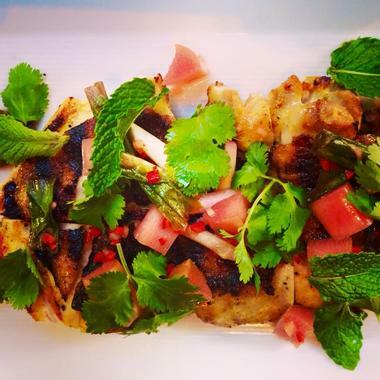 Owned by acclaimed Chef Lon Symensma, ChoLon, meaning “big market,” is named after the largest Chinese-influenced market in Saigon, Vietnam, and serves a mouthwatering menu of traditional Asian cuisine from this region. ChoLon serves an inventive menu of Asian-influenced classics with a twist in a range of dishes, from dim sum and ‘small plates’ to large family-style platters. The bistro’s elegant lounge boasts an impressive list of fine wines, craft beers, and artisanal cocktails to complement the outstanding cuisine. The bistro serves lunch and dinner throughout the week and offers a traditional happy hour with a small bites menu. 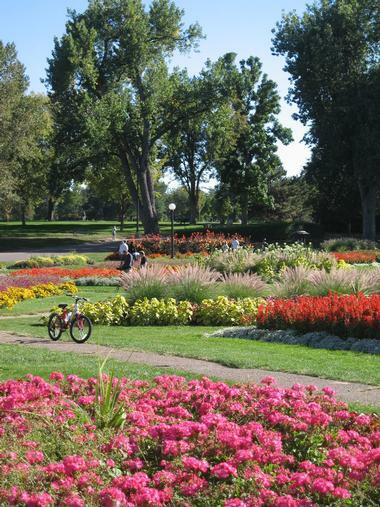 Washington Park is a green urban park in the heart of Denver that serves as an outdoor space for recreational and outdoor activities, as well as showcasing the city’s heritage through beautifully preserved examples of historic architecture. One of the most beautiful places to visit in Denver, the park features 155 acres of pristine grounds, which boast two magnificent flower gardens, one of which is a replica of George Washington's Mount Vernon gardens, two lakes, and an array of facilities, such as tennis courts, lawns, picnic spots and a recreation center. Popular amongst locals of Denver, who use the park for walking, jogging, biking and other activities, the park also serves as a center for a variety of community programs and social events. The park is close to Old South Gaylord Street, which is lined with boutiques, stores, restaurants and cafés for shopping and dining. Named after the Roman Goddess of the hearth, and decorated accordingly, Vesta Dipping Grill combines a warm and welcoming ambiance with a beautifully designed, contemporary interior, superb menu and wine list. Vesta’s modern exposed grill produces an array of delectable grilled meats and side dishes inspired by cuisines from around the globe, and accompanied by a choice of over 30 mouthwatering dipping sauces, including aiolis, marmalades, salsas and chutneys. The grill’s bar offers an excellent list of world-class wines, brews and spirits to pair with the menu, as well as an award-winning barrel-aged cocktail program. 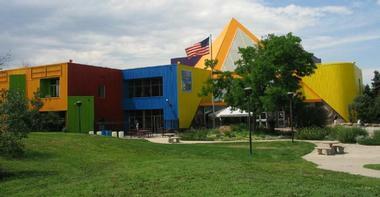 The Denver Museum of Nature & Science focuses on educating visitors and children about the natural history of the Colorado and Rocky Mountain region, as well as the Earth and Universe through scientific study. The museum hosts a variety of displays, exhibitions, interactive activities and educational programs for all ages that encourage curious minds to ask, explore, discover and learn, and has more than one million objects in its collections. Educational programs cover the fields of anthropology, paleontology, geology, zoology, health and space science. Permanent exhibits include ‘Discovery Zone’ – a hands-on educational center for children; ‘Egyptian Mummies’ – a journey back to the days of the Pharaohs; ‘North American Indian Culture’ – a look at the heritage of the North American Indian; and ‘Space Odyssey’ – a step into the future. Situated on Colfax Avenue, the Uber Sausage serves a range of hearty gourmet sausage sandwiches. Made from natural, hand-raised animal meat, including bison, chorizo, chicken, beef, veal and pork, sausage sandwiches are served on French baguette, tortilla or as a low-carb salad option, and promise to satisfy every palate. Menu favorites include ‘The Club’, which boasts roasted chicken sausage with rosemary and gooey Swiss cheese, crispy bacon, avocado, and tarragon aioli. 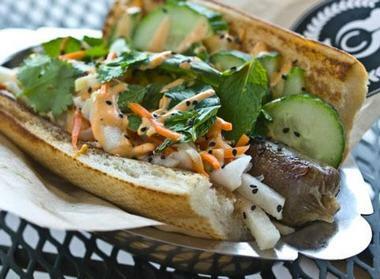 For an Asian kick, go for ‘The Vietnam’, which has Thai pork sausage, Asian slaw with sprinklings of freshly chopped mint, coriander and basil and Sriracha aioli. The Über Sausage can be found in East Colfax and LoHi with beautiful views of the city skyline. You will also get to choose from a variety of local wines and microbrews that work perfectly with the sandwiches, as well as a hearty breakfast menu. Located on the grounds of the former Lowry Air Force Base in Denver, the Wings over the Rockies Air and Space Museum (WOR) was opened in 1994 with the aim of preserving the history of Lowry AFB's operations from 1938 to 1994. The museum is housed in a historical 40,000 square foot hangar built in 1939 and features a number of collections, including the USAF’s B-1A Lancer and B-52 Stratofortress Bombers, a room of archives documenting the history of military and general aviation aircraft, and an excellent research library. 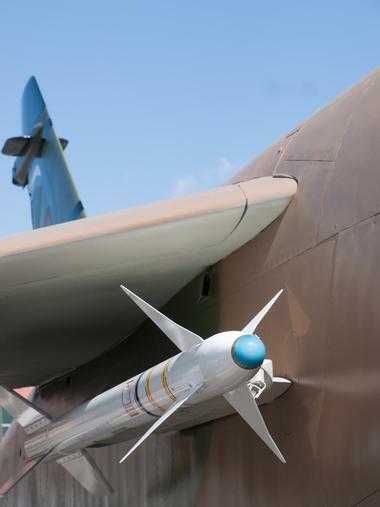 The museum runs a number of educational and hands-on learning programs, such as the Wings Aerospace Science Program (W.A.S.P), Kid Space, and the Air and Space Camp for children of all ages. The Wings over the Rockies Air and Space Museum is the official state air and space museum, and the site of Colorado’s Aviation Hall of Fame. Located on the corner of 18th and Wynkoop in the Lodo district, Wynkoop Brewing Company aims to bring together the community through excellent food and beer. Founded in 1988, Wynkoop serves a menu of delicious authentic public house fare and small-batch beers on tap in a relaxed, casual alehouse-style atmosphere. Cuisine at Wynkoop Brewing Co. is a thoughtfully prepared fusion of updated pub classics and internationally inspired dishes, such as sweetcorn fritters, watermelon and asparagus salad, and fish and chips. 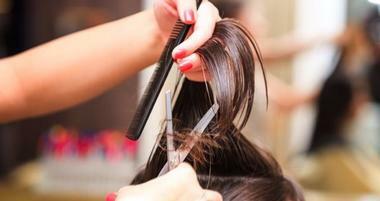 The restaurant also caters to private events and parties and custom-made menus can be arranged. Wynkoop offers complimentary brewery tours and a behind-the-scenes look at how Wynkoop Brewing Company became a pioneer on the American beer landscape. Tours lead visitors through the historic J.S. Brown Mercantile building and the process of brewing, with fantastic samplings of favorites along the way. Reservations are not required, however, tour group sizes are limited to 20 guests per tour, so it’s a good idea to get there early. Built in honor of the original Mile High Stadium, one of the most famous stadiums in National Football League history, Sports Authority Field at Mile High is a state-of-the-art glass , aluminum and steel structure that seats over 76,000 fans and is one of the most internationally recognized sports venues in the world. Explore this incredible feat of engineering that was built at a cost of over $400 million dollars on a private guided walking tour of the stadium, which includes visiting the Colorado Sports Hall of Fame Museum, the Executive Suites, the NFL Visiting Team Locker Room Facilities, Thunder's Stall and Team Field Entrance Tunnel. 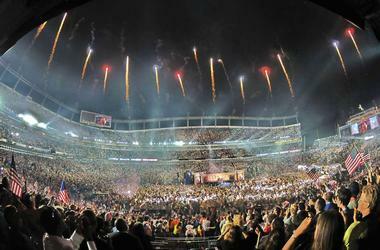 See the field from the End Zone Area and visit the Network Television Production Compound and broadcasting facilities. The fun, informative and insightful tours take approximately 75-90 minutes, cover a distance of around ½ mile and begin at the Colorado Sports Hall of Fame & Museum at Gate #1 on the stadium's west side. Explore and experience Denver on two wheels with a fun-filled guided bicycle tour with Bikealope Tours. Formerly known as ‘I Bike Denver’, Bikalope Tours offer fun-filled guided tours that explore the architecture and heritage of The Mile High City via avenues, boulevards, bike lanes, and riverside pathways, discovering unusual ‘gems’ often missed on regular tours. Bikalope Tours’ flagship tour is the Denver City Loop Tour, which takes riders past some of Denver’s best attractions and some lesser known treasures, including the home of the Denver Broncos, the Colorado State Capitol, the Cathedral Basilica of the Immaculate Conception, the Denver Art Museum and the U.S. Mint. 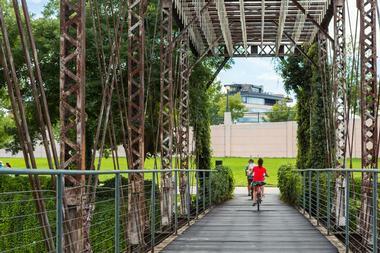 The 9.3-mile route journeys through some of Denver’s most contemporary and historic neighborhoods, as well as along the banks of Cherry Creek. High-quality Fuji "hybrid" bicycles are supplied, as well as helmets, water, and a nifty city guide. Winding through neighborhood streets, along riverside bike paths, and city bike lanes, the tours take about 2 - 2.5 hours and cover a distance of approximately ten miles (303-433-3676 ). Once home to "The Unsinkable Molly Brown", aka American philanthropist, activist, socialite and Titanic survivor, Margaret Brown, the Molly Brown House Museum rests at 1340 Pennsylvania Street in Denver and is listed on the National Register of Historic Places. 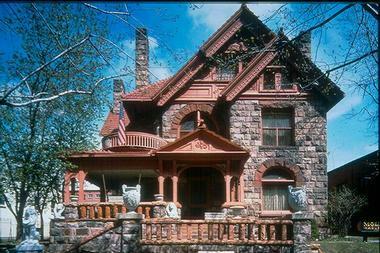 Built in the 1880s by William Lang, the house and museum, also known as The House of Lions, represents a beautifully preserved example of Victorian Denver with English Baroque (Queen Anne) architecture resonating in the stone quoins, sash windows, and triangular pediment detailing over the porch. The museum offers guided tours daily, as well as a variety of workshops and events throughout the year aimed at preserving the history and heritage, not only of one of America’s most famous philanthropists, but of other pieces of history as well. Peteybird Ice Cream Bikes are pink and white bikes that ride around the Denver area selling delicious handcrafted ice cream sandwiches. Made from real cookies and ice cream, peteybird ice cream sandwiches are hand scooped in small perfect bite sizes and are ideal for special occasions or just an afternoon treat. Peteybird offers two types of ice cream sandwiches - Original Sandwiches of two cookies and a scoop of ice cream, and Premium Sandwiches, which are artistic creations of cookies, ice cream, and other sweet treats. 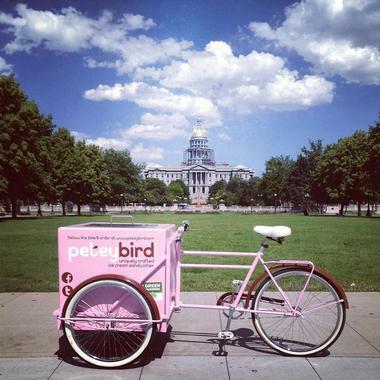 Find one of the pink peteybird Ice Cream Bikes around town for a range of ice cream sandwiches or order online (720-432-2430). 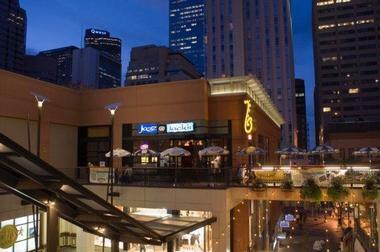 One of Denver's top jazz spots, Jazz at Jacks is a live music jazz club in the Denver Pavilions that hosts a variety of local and touring jazz bands. Situated on the 16th Street Mall in Denver, Jazz at Jacks offers a casual and relaxed ambiance for jazz lovers to enjoy bistro-style food and drinks while listening to great music. Jazz at Jacks features more than just jazz - enjoy a variety of music, ranging from funk and blues, to golden oldies and reggae, as well as tribute shows. 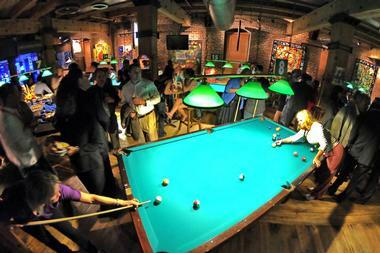 The venue can be rented for private functions, concerts, corporate events, birthdays, and other special occasions. 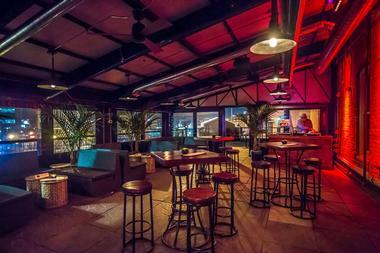 Tamayo is a modern Mexican eatery and tequileria that serves traditional Mexican cuisine with a contemporary twist. Owned by renowned chef Richard Sandoval, Tamayo’s menu offers both classic Mexican dishes and introduces new concepts, such as the ‘Test Kitchen: Guadalajara’, which features dishes inspired by the culinary heritage and celebrated foods of Guadalajara. Located in Larimer Square in Denver, Tamayo’s chic, stylish interior design complements the modern menu and impressive bar, which houses a collection of over 100 tequilas and agave-based spirits, as well as an array of handcrafted cocktails. Head there for Happy Hour, known as La Biblioteca, which offers a menu of delicious tacos and tapas accompanied by half-price margaritas, sangria, wines and, of course, plenty of tequila. Also must-see: Downtown Aquarium in Denver. Founded in 1973, the museum features innovative and interactive Playscapes (hands-on exhibits), including ‘The Big Backyard’, an oversized introduction to life in the backyard, ‘The Assembly Plant’, where children can build and construct to their hearts’ content, and ‘Fire Station 1’, where they can learn about the job of a firefighter on a real fire engine. The museum also hosts engaging daily workshops and programs for children, as well as exciting year-round special events. 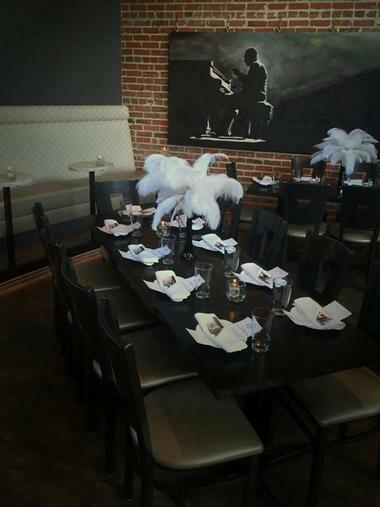 Nocturne is an elegant, two-story jazz club and restaurant in Denver’s RiNo neighborhood. The rustic, unadorned space with exposed pipes and brick walls contrasts beautifully with the sophistication of elegant cream banquettes and the baby grand piano. The food is eclectic and international. You can choose between shareable small plates, such as Cubano sliders, fresh oysters, and duck croquettes, or go for the constantly changing five-course Renditions Tasting Menu, influenced by timeless recordings of such jazz greats as the Ah Um album by Charles Mingus. The bar shares center stage with the musicians and the shakers fly while blending your cocktail of choice. The wine list is dreamy and the bar is stocked with just about any drink you can think of. 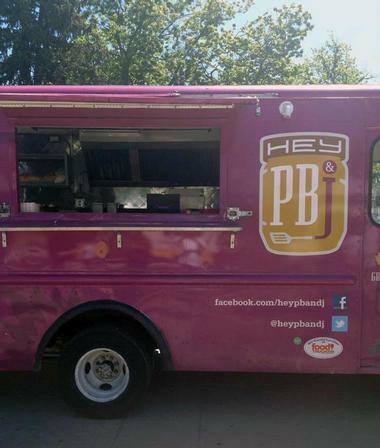 Hey PB&J is a funky purple 1979 Chevy truck that sells unique grilled peanut butter and jelly sandwiches to PB & J-lovers across town. Founded by gourmand and food-lover Matt McDonald after a visit to Los Angeles where he fell in love with the vibrant street food scene, Hey PB&J is a perfect choice for a good old home-away-from-home snack. It’s not only the age-old favorite of peanut butter and jelly that is served - Matt McDonald serves up some experimental successes, such as incredible jam, and the ever-popular Blueberry Pie PB & J. Or for savory fans, the Thai PB & J rocks with spicy peanut butter, coconut, orange marmalade, crushed peanuts and finely chopped fresh basil (303-929-2751). 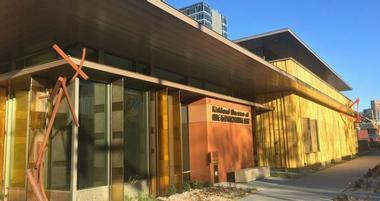 Located in downtown Denver, the Denver Public Library is the city’s central library, which consists of 23 branches, and a mobile book-lending program that offers communities all over the joy of reading. Opened in 2003, the library houses a full-service lending department, which serves as an excellent educational and cultural resource for art, music, history, and politics. The library has an impressive Western history collection, which includes thousands of photographs, catalogued books, atlases, and manuscript archives, as well as a beautiful array of Western fine art and prints and the Otto Perry Collection of old railroad images. The library hosts a number of events, workshops, and programs for children and adults throughout the year, as well as the Blair-Caldwell African Research Library, the Western Legacies Museum and African American Leadership Gallery.